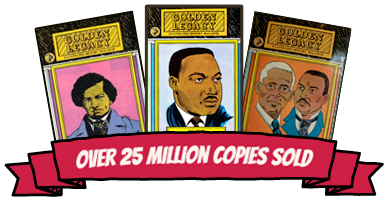 The remarkable Golden Legacy Illustrated History Series is a 16 volume classic collection of role models and heroes of African descent whose images will not fade or tarnish….THEY INSPIRE!!! I had come to National History Day representing not only my state but all of the hard work and people who had made it possible for me to have this experience of a lifetime. And now I would receive the highest honor possible…My topic was Joseph Cinque and the Amistad Incident. If anyone had asked me to explain the Amistad Incident for $60,000. Before this project, I don’t think I even could have answered that it was a part of American history. 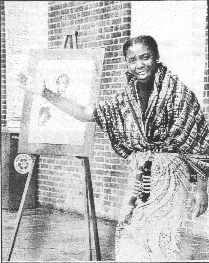 From a historical ‘comic book’ (Golden Legacy) my mother excitedly passed on the heroic story of an African who fought for his freedom on a Spanish slave ship and then through a whirlwind of events ended up in our Supreme Court.